Hermann Ehrlich received his Ph.D. degree in 1984. 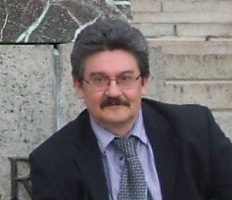 He served as a postdoctoral researcher at Max-Bergmann Centre of Biomaterials and Institute of Materials Science in Dresden, and after Habilitation in Biomaterials at Christian-Albrecht’s University in Kiel he currently holds a Group Leader position at the Institute of Experimental Physics at the TU Bergakademie in Freiberg. His research is focused on marine biomaterials, biominerals, biocomposites and biomimetics. Using biochemical, cellular, molecular, and analytical approaches, he and his co-workers, for the first time, discovered and characterized chitin and novel hydroxylated collagen in the skeletal formations of marine sponges. During the last five years, he has published over 45 peer reviewed articles, seven book chapters, two monographs and additionally is holding four patents. Being the corresponding author, Hermann Ehrlich published his papers in such high impact journals as “Nature Chemistry”, “Chemical Reviews”, “Advanced Functional Materials”, “Chemistry of Materials” etc. He represented numerous invited and keynote lectures at Columbia University, at Yale University, at Massachusetts Institute of Technology as well. H. Ehrlich is editorial board member of international journals such as “Nature Scientific Reports”, “Frontiers in Materials Science”, “Bioinspired Materials”, “Journal of Chitin and Chitosan Science”, “Marine Drugs”, “Austin Chemical Engineering”, and “Biomimetics”. He is editor of the special issues “Marine Biomaterials” of the journal “Marine Drugs”, and “Frontiers of Marine Biomaterials” of the journal “International Journal of Molecular Sciences”. He was elected to be the Chief-chairman of the 12th International Symposium on Biomineralization “BIOMIN’12” that took place in August 2013 in Freiberg, Germany (Press release). Recently, H. Ehrlich has been nominated for the Gottfried Wilhelm Leibniz Prize 2015. Interview mit Biomimetiker über die Fähigkeiten von Tiefsee-Bewohnern – Quelle: ZDF Heute.de, 21.03.12. Die Tiefsee ist eins der letzten Eldorados für Wissenschaftler. Außer faszinierenden Lebensformen hat sie aber auch innovative Ideen für Medizin und Industrie parat. Der Biomimetiker Hermann Ehrlich, Gruppenleiter am Institut für Experimentelle Physik der TU Bergakademie Freiberg in Sachsen, will daraus einen eigenen Forschungszweig schaffen. A living coral reef measuring 4 km by 7 km has been discovered in the turbid coastal waters of Iraq. The finding is described in the journal “Scientific Reports” and represents the first known coral reef in Iraq.